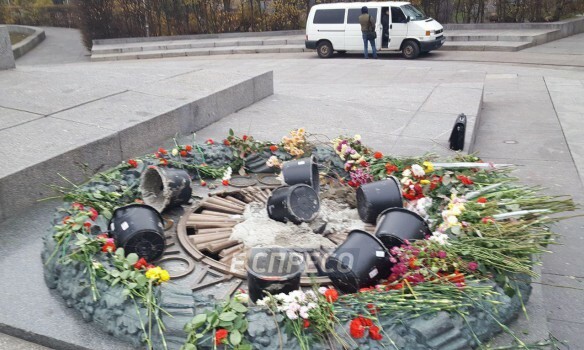 The Eternal Fire memorial was desecrated in the Park of Glory in the Ukrainian capital on Tuesday. A passerby saw the memorial poured with cement and called the police; investigators, K-9 experts and pyrotechnicians reached the site and seized three pairs of gloves and buckets. The law enforcers are now searching for records from surveillance cameras nearby. Pechersk district prosecutor’s office opened the investigation into the case; the perpetrators may face for three to five years in prison.